Sardines, either live or dead, make good bait. Sardines are small, streamlined fish with a high oil content and a significant scent that is attractive to large predatory fish. 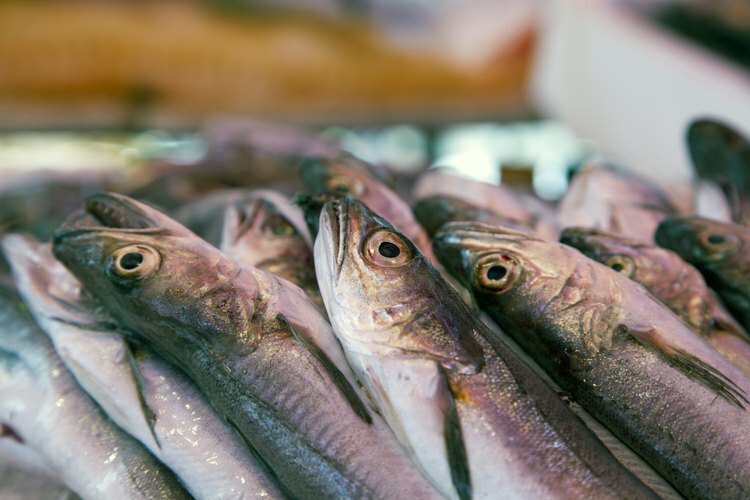 Fished live or as cut bait, sardines are frequently used by anglers to catch a variety of game fish, including striped bass, salmon and large catfish. Sardines work well as the primary bait on a hook or along with an artificial lure, providing additional scent to attract a strike. To fish with live sardines, try using an ultralight rod and reel to catch the little fish from a boat or pier. A small-hooked Sabiki rig or tiny jigs will catch fish after fish, which can be kept alive in a 5 gallon bait bucket or live well. To free-line live sardines, hook them horizontally through the nose. If you are fishing near the surface, you can also gill hook sardines in the skin just behind the gill cover. For fishing sardines, either whole or in part, use a bait keeper hook specifically designed for holding natural baits. These hooks usually have one or two barbs on the shank that help to hold the bait in place on the hook. If you plan on using a circle hook, try tying the bait to the hook below the eyelet to ensure the hook point remains exposed. When using whole sardines, ensure that your line weight matches the size of bait fish you are using. Small sardines work best for line weights between 10 and 20 lb. test with hook sizes ranging from #6 up to 1/0. Use larger sardines on 15 to 40 lb. test line with hooks from #2 to 5/0. To make a single sardine go farther as bait, cut two equal-sized fillets from the fish. You can also use just the head, bones and tail left as scrap from the filleting process as bait. To toughen the soft flesh of sardines, cure them in a brine. Commercially prepared brines and homemade brine recipes both work well. Place sardines, whole or in fillets, in the brine overnight to make them tough enough to stay on the hook. When fishing whole dead sardines or fillets, smaller fish will often take your bait from the hook. If this occurs, try cutting your sardines into chunks, or just use the head. These will stay on the hook better, preventing smaller fish from stealing your bait. Sardines are among the smelliest of bait fish and their scent can remain on your hands for a long time. When handling or rigging sardines, where rubber gloves to prevent the fish from directly touching your hands. When fishing artificial lures, try slipping a chunk or fillet of sardine onto the hook to add scent and increase its attractiveness. For larger lures, such as Kwikfish, place the fillet on the body of the lure and wrap thin elastic line, available at any good tackle shop, around both to hold the cut bait in place.